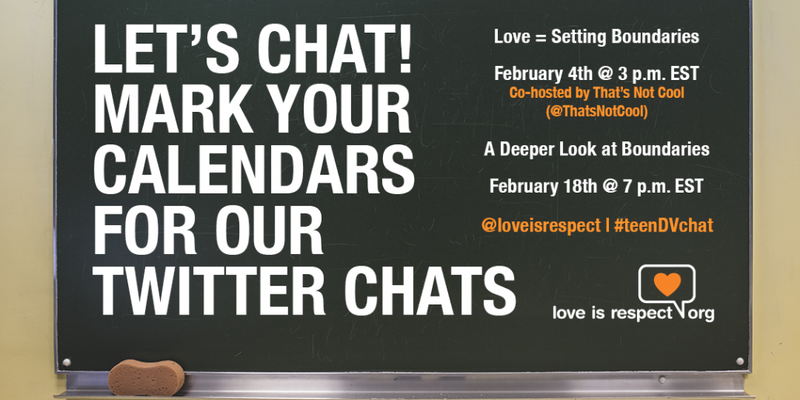 It may be the end of February but that doesn't mean the conversation needs to stop about healthy relationships. Keep communication open with you friends and teens and let's say #nomore to dating abuse. This isn't a complete list by any means, but it's a start. 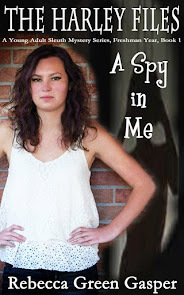 Have you read any other YA books about dating abuse? Let me know- I'd love to add to my list. As February comes to a close, let's make sure we keep the conversation going. Start the conversation by asking How are things going? Keep things general and open ended. Don't judge or try to fix things, just listen. Next ask What are you friends dating relationships like? It's always good to start by asking about someone else. It is easier to talk about someone else's issues than your own sometimes. Now it is time to start digging in. Start asking questions like: Have you seen any kind of abuse between two people going out? Why do you think one person would abuse the other? Why might a person want to stay in a an abusive relationship? After some talk about abusive relationships, start talking about what makes a healthy relationship. And finally talk about how to get help for a friend or yourself. Let's say NO MORE to dating violence. And the first step is starting the conversation! 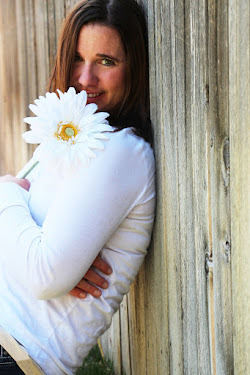 So, tell me, have you started the conversation on dating abuse and healthy relationships with your teens or pre-teens? How did you start the conversation? How did it go? Wear Orange Day is a national day of awareness where we encourage everyone to wear orange in honor of Teen DV Month.Wear orange shirts, nail polish, ribbons, jewelry, shoes or anything else you can think of! 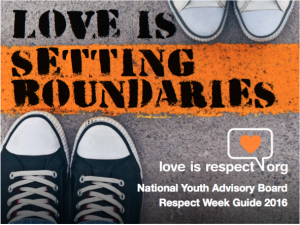 Tell people why you are wearing orange and post pictures and updates on instagram or twitter or Facebook using the hashtags #Orange4Love and#RespectWeek2016. 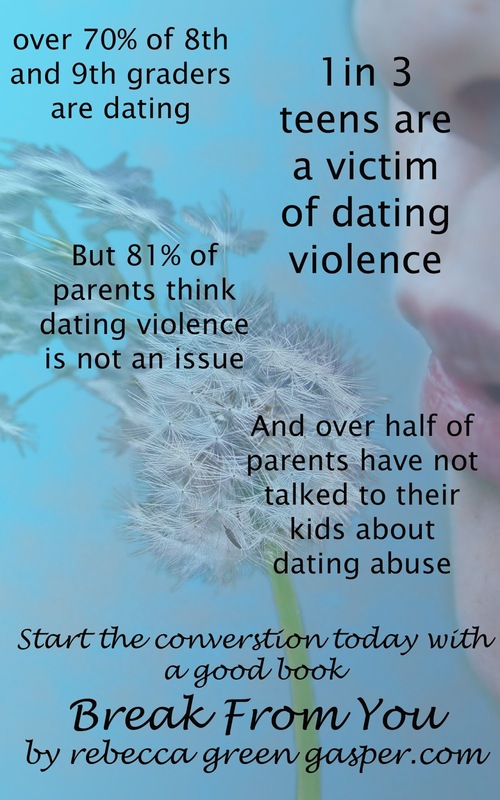 What things can you think of to help raise awareness on teen dating violence? 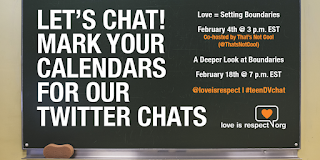 I hope you all join me this week- even if you just send out one tweet or wear orange- it's important to spread awareness on teen dating violence. 1 in 3 is too many. But it should and it does. And a healthy relationship includes setting boundaries. Talking about your boundaries with your partner is a great way to make sure your needs are met and you feel safe and secure. 3. Digital- this is a big one in today's digital world and the digital generation. It's important to have boundaries with checking in, posting relationship status, tagging partner in photos, sharing pictures, following friends, when to text and when to return text, using each other devices, post, tweet, comment about relationship, posting pictures. Boundaries are unique and different for everyone. It is so important to communicate with your partner what your boundaries are and what you are comfortable with. He/she can't read your mind- speak up. What boundaries are important to you? 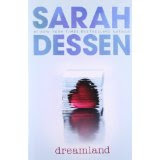 ...With his hand at the base of my neck, he pulled me close and kissed me on the forehead. Moving his hand to my jaw line, he raised my chin. I met his eyes. "I love you," he repeated. "I would never hurt you." He stepped back and smiled. Mostly because this is shocking. 1 in 3 you ask???? Yep, 1 in 3. And that is way too many. Some teens don't know the difference between a healthy relationship and an unhealthy relationship. Do you? Being able to tell the difference is not easy. And maybe that's because most of us don't talk about it. But it's time to talk. 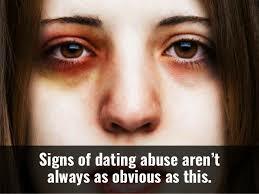 It isn't always easy to tell if you/or someone you know is in an abusive relationship. And I know it's hard sometimes to start that conversation. But we need to. If you or someone you know is in an unhealthy or abusive relationship, please get help. 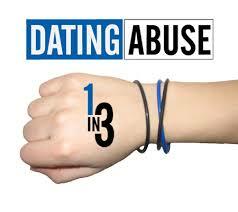 February is Teen Dating Violence (DV) Awareness Month! This topic is important to me. 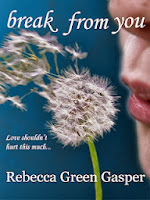 Not only is it a major topic in my first novel, Break From You, but all too often our teens are subject to dating violence...and they may not even know it. 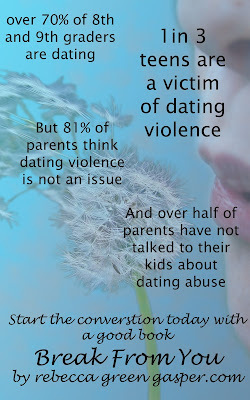 Sometimes teens don't know what a healthy relationship is and think the violence, manipulation, and control is normal. But it isn't. And it's time to teach our teens and young adults otherwise. Wear orange day- February 9th. You are encouraged to wear orange and support the cause. And National Respect Announcement on February 12th. “Love = Setting Boundaries,” because boundaries are an important part of every healthy relationship. 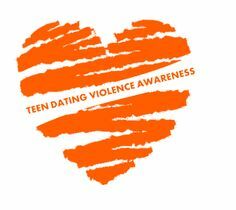 Teen DV Month (sometimes called TDVAM) is a national effort to raise awareness about abuse in teen and 20-something relationships and promote programs that prevent it during the month of February. For more information please visit loveisrespect.org. This is an amazing site with wonderful information, lots of facts, and great support. Get involved. Join the cause.